· The person that you have referred must tell us that you did so to be entered into the draw – if you are not sure give us a call. · The more people you refer the greater chance you have to win. 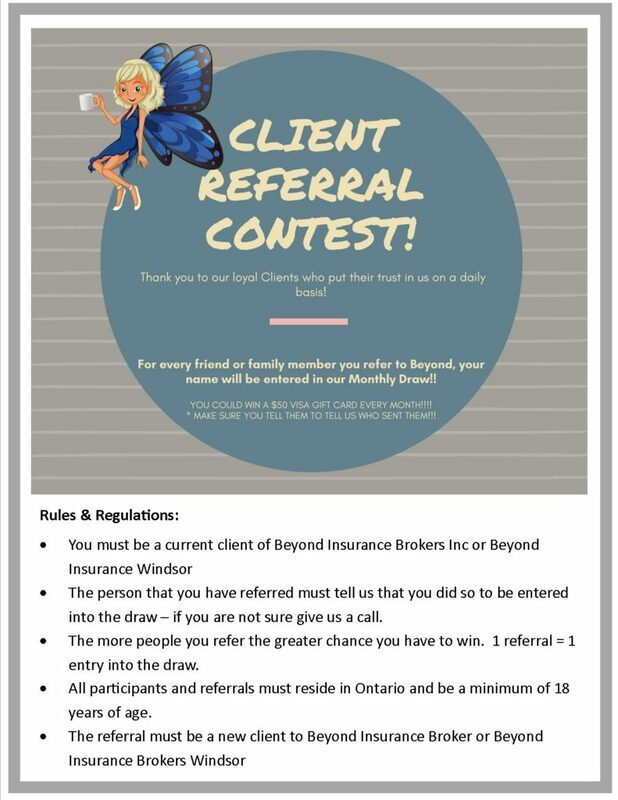 1 referral = 1 entry into the draw. · All participants and referrals must reside in Ontario and be a minimum of 18 years of age.